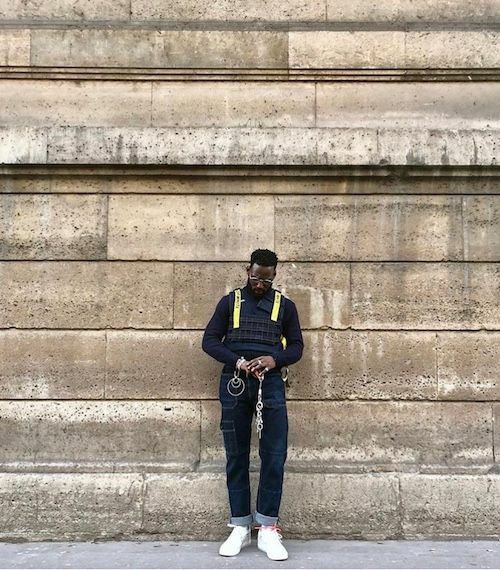 Everybody's in Paris for Men's Fashion Week. It wouldn't be complete if the queen of the runway wasn't there. And she def was on the scene. 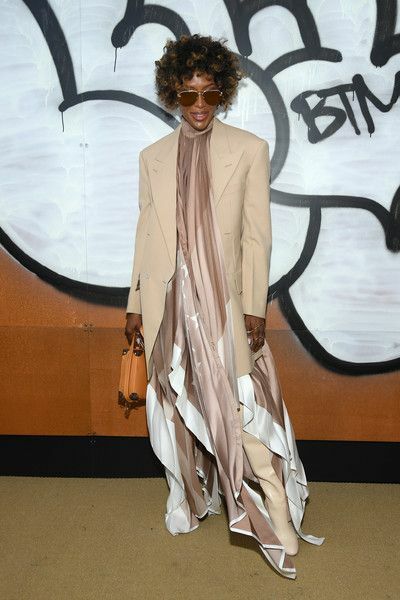 Runway slayer Naomi Campbell can do no wrong when it comes to fashion. 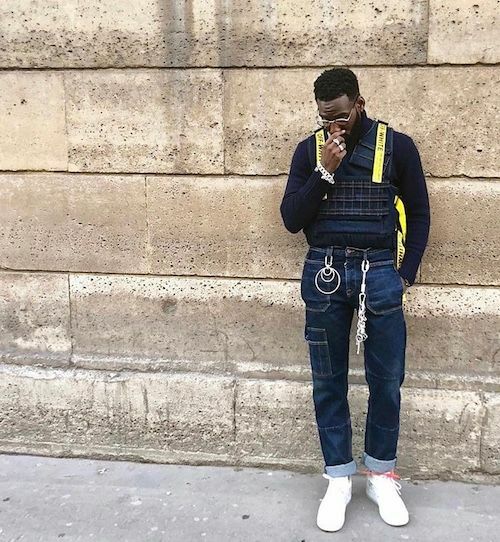 The 48-year-old stunna sashayed to the the Louis Vuitton Menswear Fall/Winter 2019-2020 rocking a custom Louis Vuitton ensemble. Def a lewk only she could pull off this effortlessly. 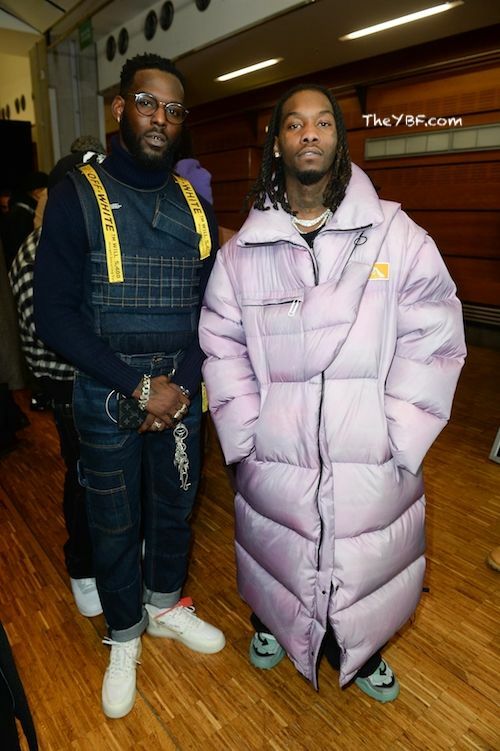 Rapper Offset raps about that trap life in his music, but he's a fashion lover at heart. 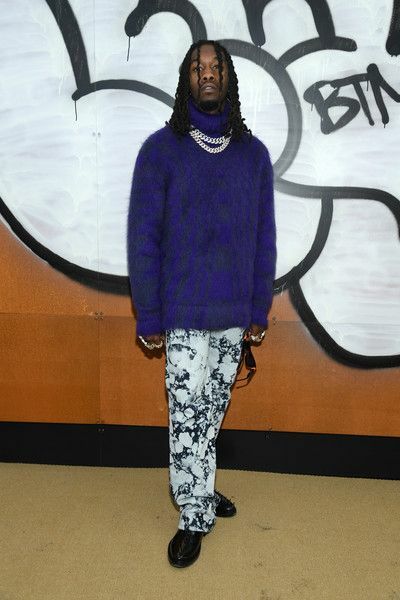 He hit the carpet at the LV show before making his way to the front row. 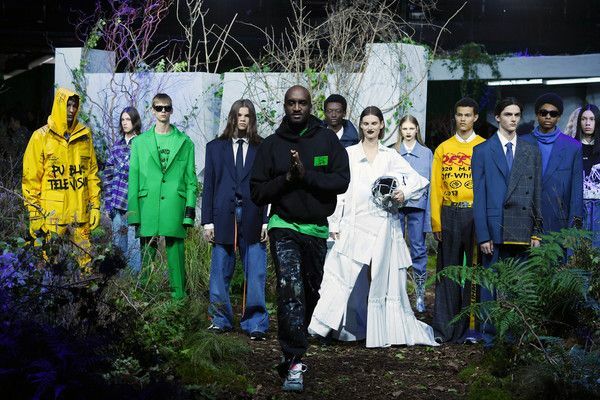 After giving his fans a rare interview in GQ magazine, singer Frank Ocean popped up at the LV show. 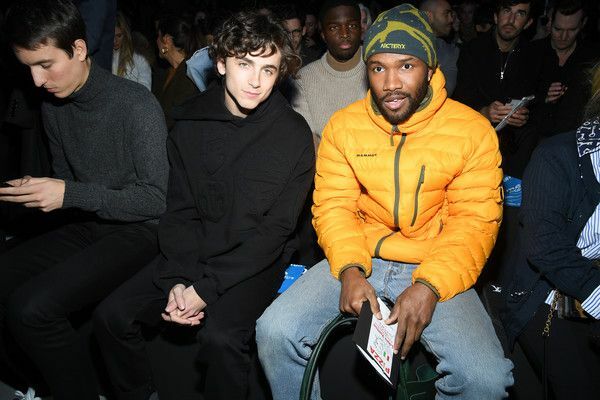 He was spotted sitting on the front row alongside actor Timothee Chalamet. Skin glowing and ish. If you missed his skincare routine, get the deets HERE. 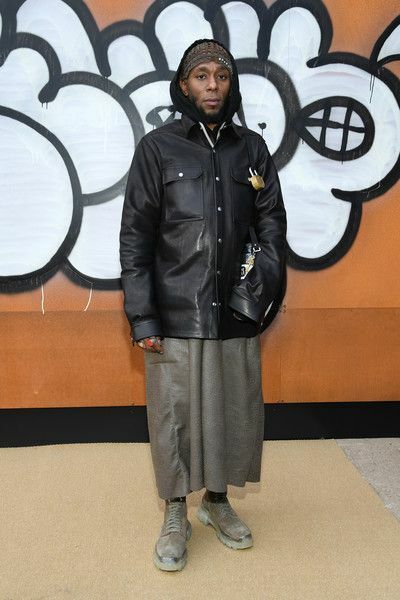 Yasiin Bey, better known as Mos Def, was also in the mix. 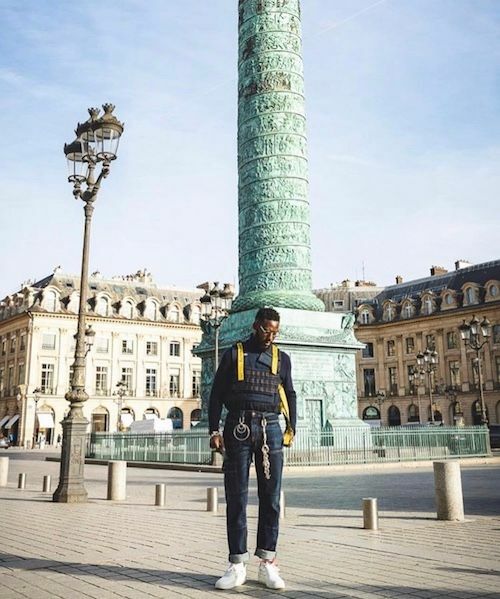 The rapper was once the face of the fashion house's 2012 campaign where he paid tribute to famous boxer Muhammad Ali. 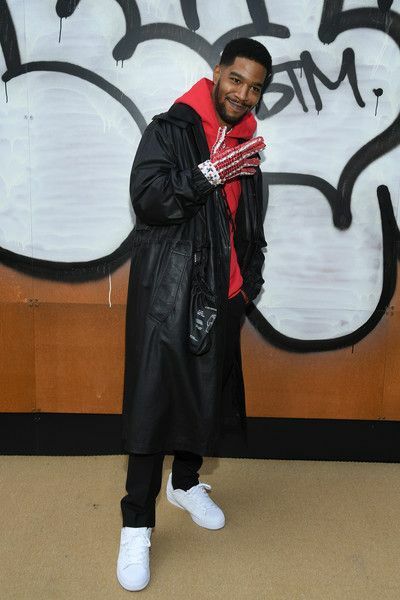 Rapper Kid Cudi also came out to see the newest designer threads. 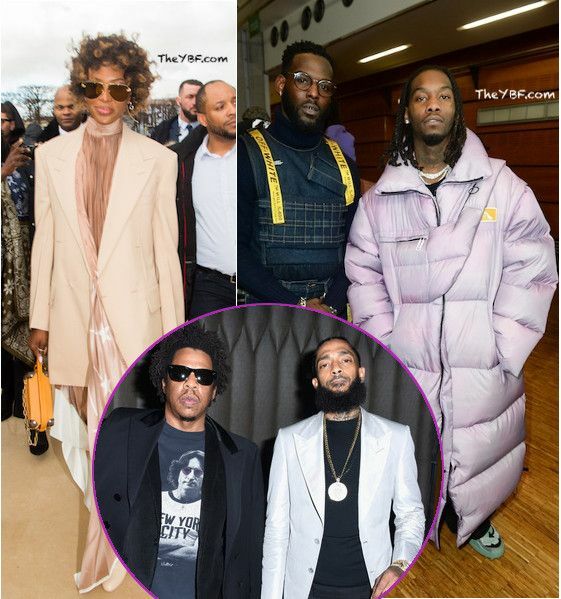 Rapper Offset is no stranger to the runway. 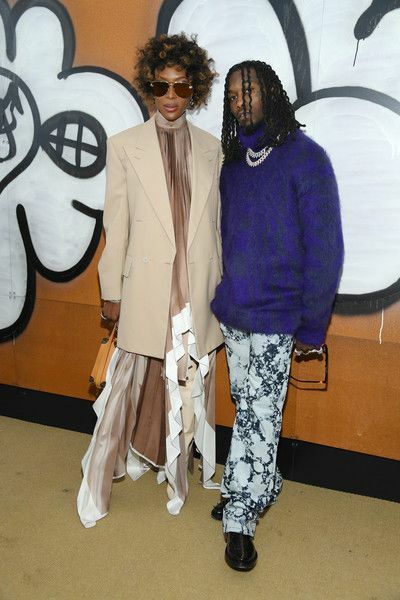 He made his runway debut at Jeremy Scott's NYFW show last year. Now, he's he Paris showing off his runway skills. 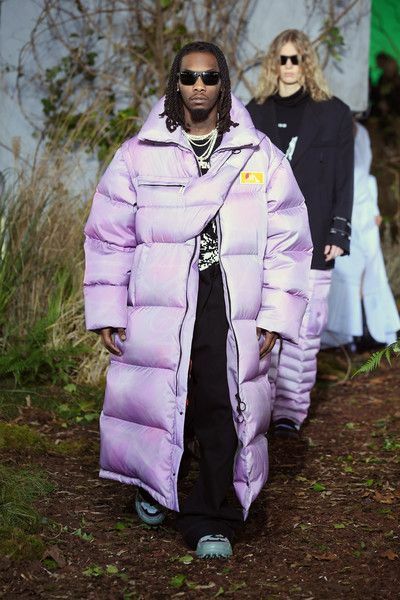 The "Stirfry" rapper served up an edgy look as he made his way down the runway in a lilac floor length puffer coat accessorized with a built-in cross-body bag for Virgil Abloh's Off-White Menswear Fall/Winter 2019-2020 show. Wee see you Kofi! Are y'all feeling it? 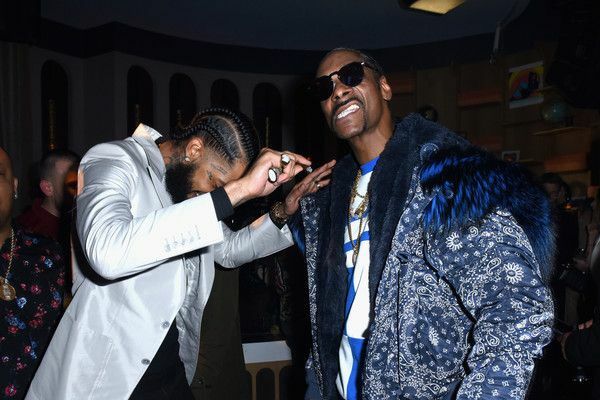 Nipsey Hussle nabbed his first ever Grammy nomination, so he's celebrating in a major way. 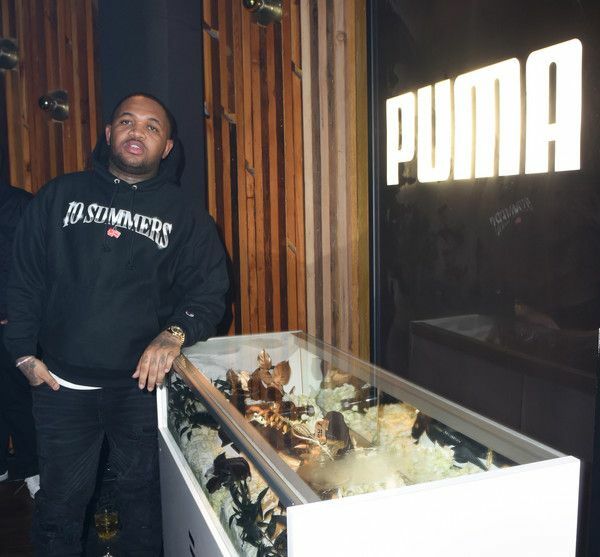 After his album Victory Lap earned a nomination in the Best Rap Album category, the west coast rapper joined forces with PUMA to host a 2019 Grammy Nomination party inside The Peppermint Club in LA. 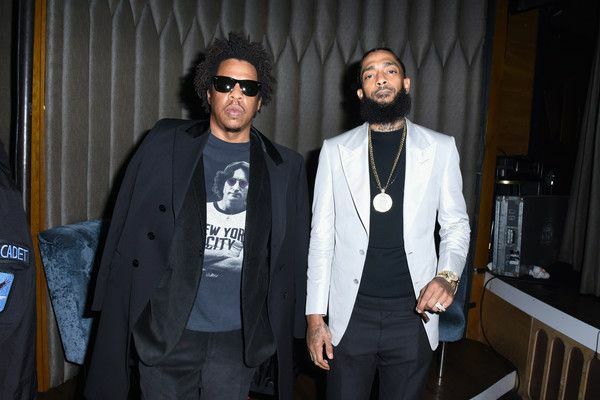 There were several Hip Hop heads in the mix, including Jay Z (who's listed in the credits of Nipsey's new album), Snoop Dogg, T.I., and DJ Mustard. 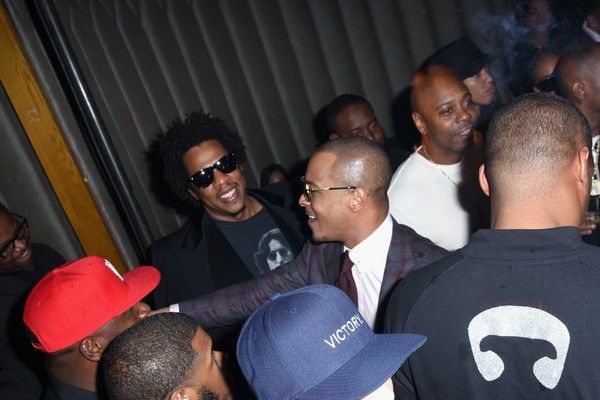 So, how did Hov earn a composer credit on Victory Lap? 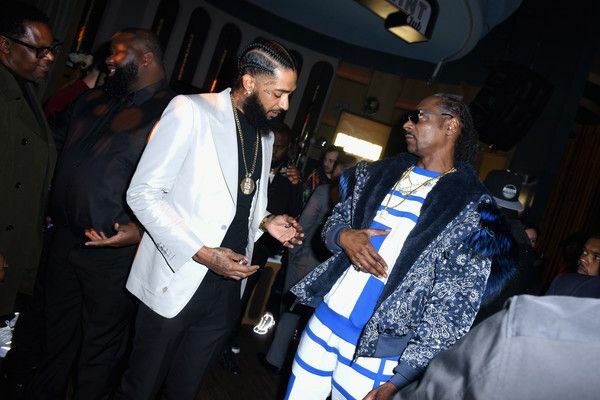 "You know what's crazy about that record [Hussle & Motive]?" 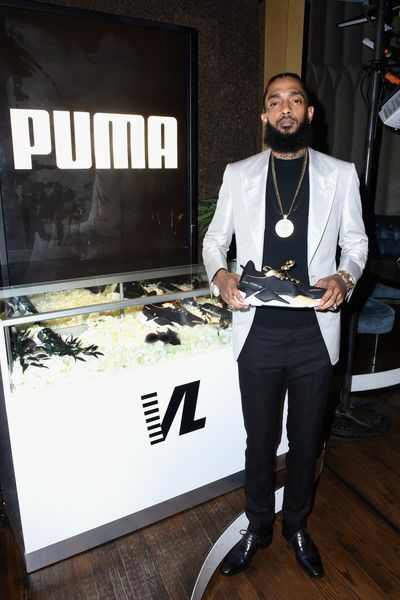 Nipsey said during an interview on "The Breakfast Club." "This is what I learned when we was going through the process and the paperwork. 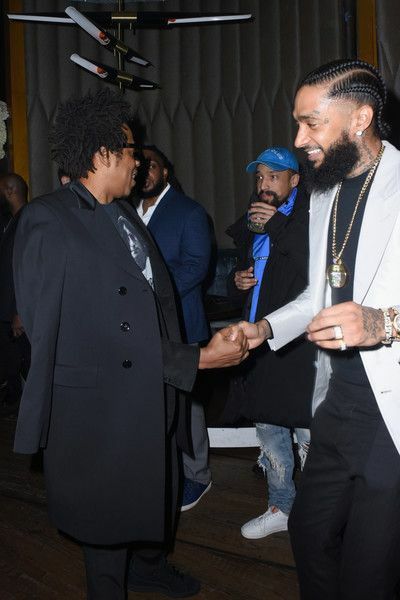 When JAY-Z got 'Annie' to clear the record, I guess when he paid them, he said, 'Y'all gotta let every rap artist after me use this.' That was his deal with whatever producers and writers—so we benefited off his negotiating in 1998. 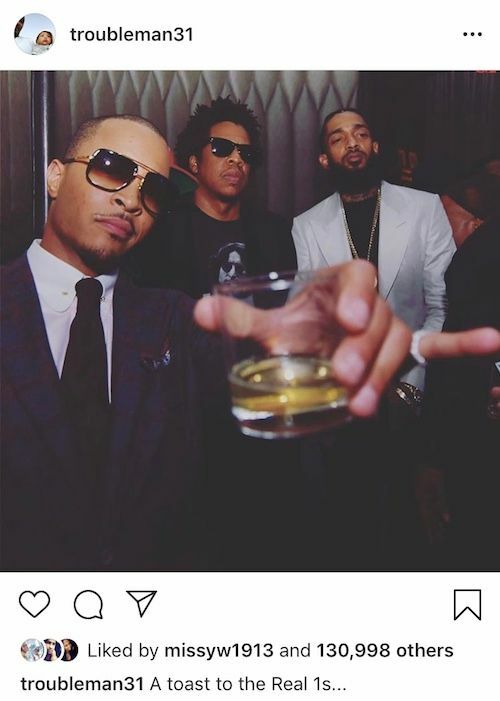 We just had to get JAY-Z to clear it." 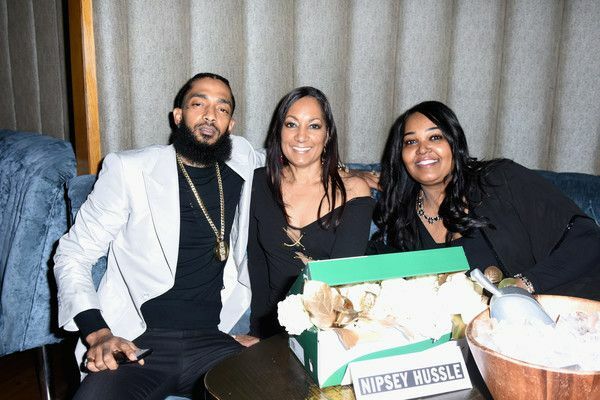 Notably missing was his girlfriend (not fiancee)/son's mother, Lauren London. 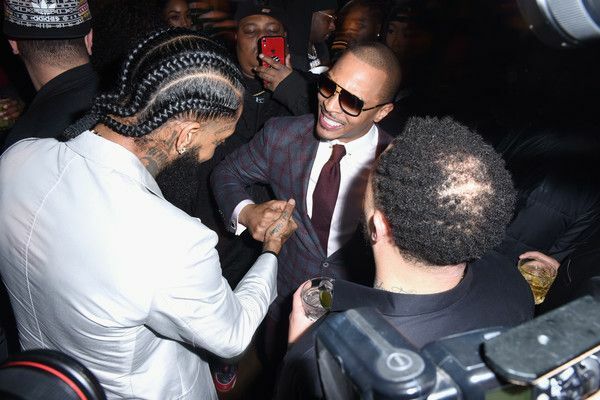 Looks like everyone enjoyed themselves. 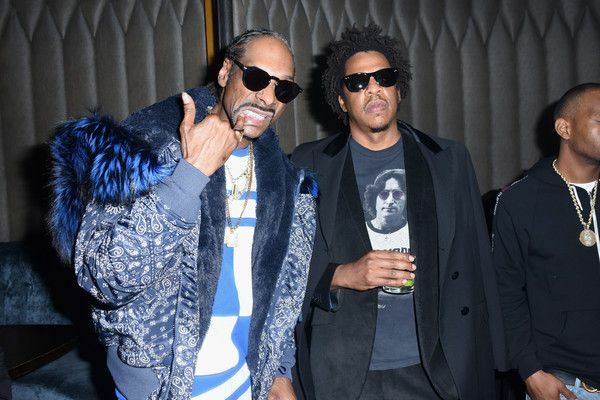 The 61st annual Grammy Awards are set to go down February 10th. Be sure to keep it locked to TheYBF.com for all of the melanin coverage! NEXT: EXCLUSIVE CLIP: Romeo Miller Is Really Out Here Asking Angela Simmons How Many Penises She's Had? !